DLR and TUHH produced 200 l of Ca-alginate alcogel particles and BASF dried the particles in their existing pilot plant and proved that drying of particles works in pilot scale even under not optimized conditions & plant. A summary of the amazing progress of the work packages followed. Sohajl Movahhed, industrial leader BASF, presented insights from the market study of IDTechEX which forecasts a growth rate of 32% in the aerogel particle market and organic aerogels increasing rapidly as first production plants become operational (e.g. SLENTITE® by BASF). The presence at POWTECH and the Session at PARTEC 2019 also were evaluated as successful dissemination events. The project officer appreciated the work achieved in NanoHybrids and emphasized the importance to create real impact by the project. This is in the interest of all partners as they all see the promising but not yet realized application potential of aerogels. The industrial partners are keen on exploring the market opportunities further. BASF has already experience with their two products SLENTITE® and SLENTEX®, which build a solid basis for future developments with organic aerogel particles and Arcelik is contributor to a scientific publication on aerogels as humidity absorbers in dishwashers. The academic partners also aim at exploring further research routes which had opened during the project. 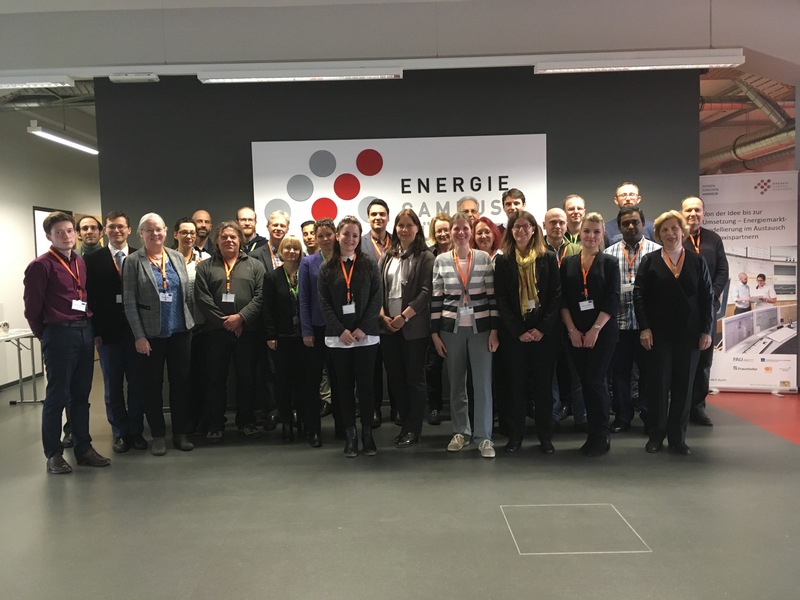 Prof. Smirnova concluded the meeting with a big “Thank You” to all partners, their administrations and also the EC which provided the funding and the Energiecampus Nürnberg which hosted the team for the final meeting. She appreciated the agreeable, constructive and inspiring working atmosphere during NanoHybrids meeting. She highlighted especially the impressive cooperation with the PhD candidates, the industrial researchers and the senior researchers, all on the same level. All contributed equally to the scientific discussions and problem solving. The Project Officer quoted his previous supervisor who had said that a PhD candidate in his/her second year very often know their research better than their supervisors. The production of aerogel particles and beads was not possible before NanoHybrids started and the project created a lot of new science and technology. Luckily enough, on April 30, 2019 the COST Action AERoGELS – Advanced Engineering and Research of (aero)Gels for Environment and Life Sciences, coordinated by C.A. García-González, University of Santiago de Compostela, Spain will have its Kick Off meeting. Thus, most of the NanoHybrids researchers will continue progress on aerogels research in this COST Action. AERoGELS COST Action intends to bring together the knowledge on research and technology of aerogels at the European level from academia, industry and regulatory experts. The long-term scope of this Action is to develop an aerogel technology able to improve the welfare of European people and to move towards cleaner and smarter production in Europe.